Finally, A Neko Atsume For Dog Lovers With An Even Better Soundtrack! Cats are beloved by many, and Neko Atsume is a game that appeals to the sensibilities of cat lovers everywhere by letting you collect cute cartoon cats in your fictional home and lavish them with food and toys. The game has taken the Internet by storm, and we even have a guide on how to be a pro at it. That being said, I’m more of a dog person. 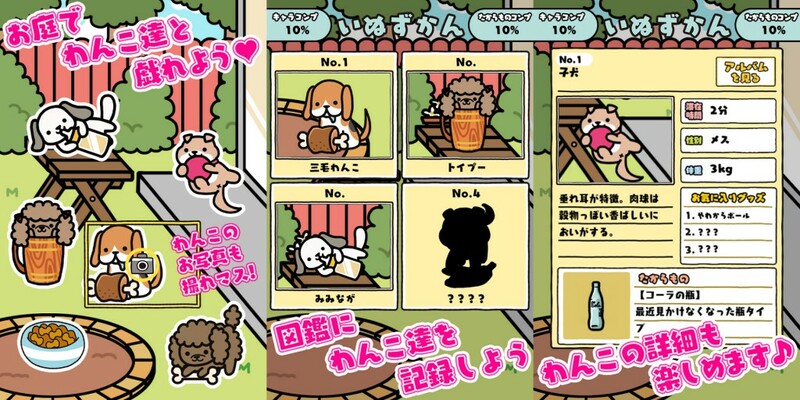 Enter Boku to Wanko (ぼくとわんこ), which translates to “Me and Doggies” — a game that mimics Neko Atsume pretty well, right down to the gameplay and the artwork, but features dogs instead of cats. (Japan Info falsely reports that it is from the developers of Neko Atsume, but it is not.) And you know what? It even has a catchier and more pleasant, piano-based soundtrack. There, I said it. 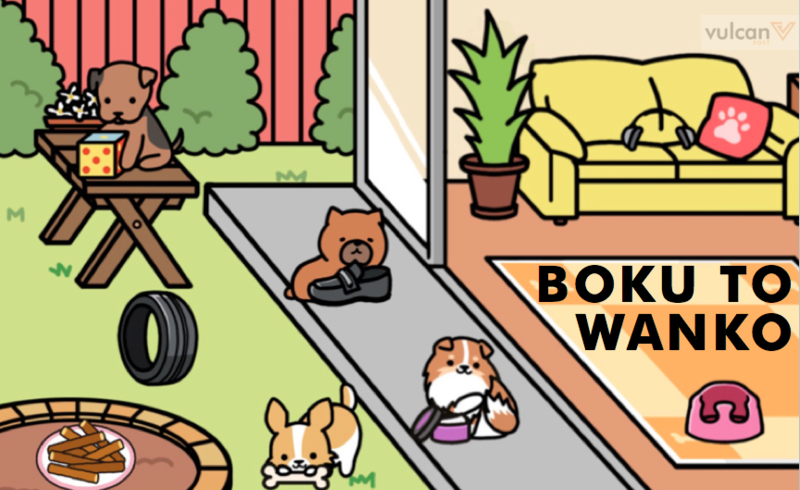 If you’ve already succumbed to Neko Atsume’s charms, you’ll probably be equally in love with Boku to Wanko. 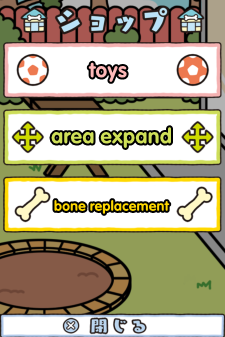 And since gameplay is so similar, if you want to be a pro at it, you can easily follow any Neko Atsume guide — simply substitute dogs for cats, and bones for sardines. Unlike Neko Atsume, each toy in Boku to Wanko only attracts one (or two) specific breeds of dogs (out of a total of 42 breeds). The bowls of food in Boku to Wanko don’t need to be refilled like in Neko Atsume. When dogs give you gifts, the gifts only appear once so you need to check your gift box more often than in Neko Atsume. Like Neko Atsume when it first debuted, Boku to Wanko is currently only in Japanese. In addition to being ushered into a tutorial once the game loads, menu options are complemented with cute icons that give you an idea of what they lead to. But here are some menu options translated for you anyway. “Install” will allow you place the item in your yard. “Clean up” will remove the toy from your yard. If a dog is playing with it, the dog will leave as well. Some players might feel that Boku to Wanko does not have the same polish as Neko Atsume, but it’s still a pretty fun game in the same vein. And if you can’t get enough of cute, cartoon animals, you now have dogs to add to your collection. 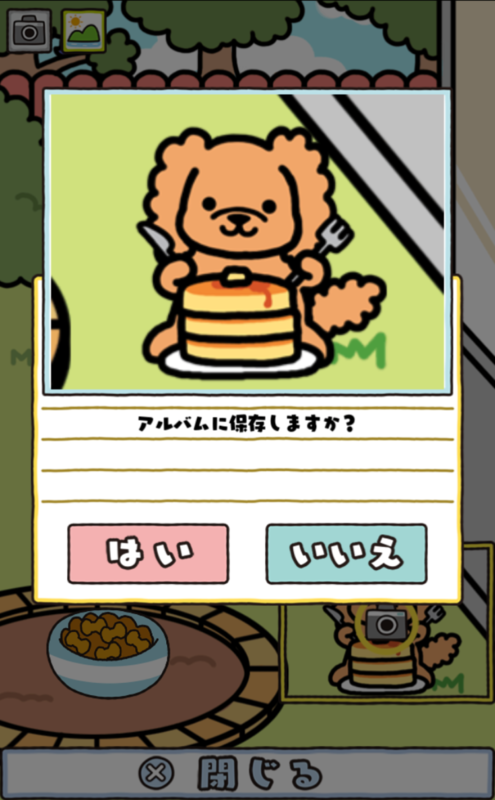 Oh, and hey, here’s a bonus picture of a poodle eating pancakes! To download Boku to Wanko, visit the App Store or Google Play.